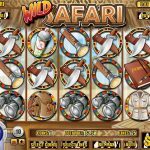 Wild Safari is a 5 reel / 25 paylines slot game released in 2012 by Rival. It follows the very popular theme of an African Safari and brings you not one but two bonus rounds. 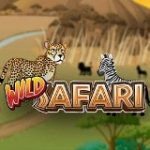 The Wild in this game is the Safari Truck symbol which will substitute other symbol to create a winning combination. They appear only on reels 1 and 5 and will expand if it helps you creating a win. There are also two scatters here. The first one is the Plane symbol. Landing 3, 4 or 5 anywhere on the reels will reward you with 10, 20 or 50 Free Spins respectively with a 3x multiplier. The second scatter is the Camera symbol. Landing 3 or more will trigger the Bonus Round in which you’ll be able to spot 5 safari animals! taking a shot of each will get you a nice prize. 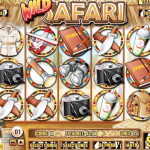 We know that the safari theme is not new and nearly every gaming company has one in its arsenal. However, this one is still very enjoyable and engaging. The bonus rounds are fun and rewarding and the graphics don’t disappoint as well. Bottom line? sure worth a try! If you’re a fan of golf then The Back Nine is the game for you!.